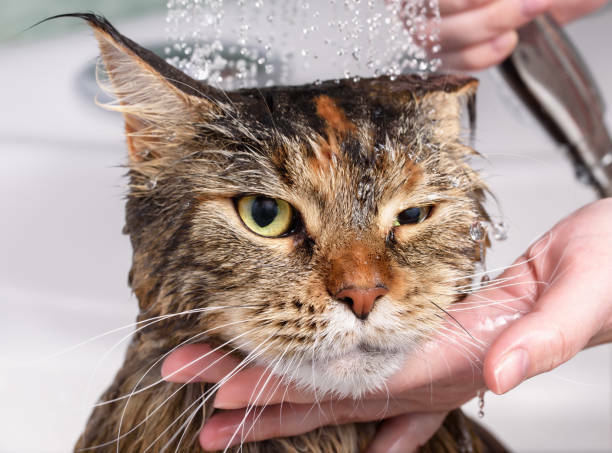 Perhaps your fur-baby is getting a bit smelly, shedding fur or going tick-tick-tick with his long nails on the floors of your house, but you’re not sure how often it’s okay to bathe him or how to trim his nails. 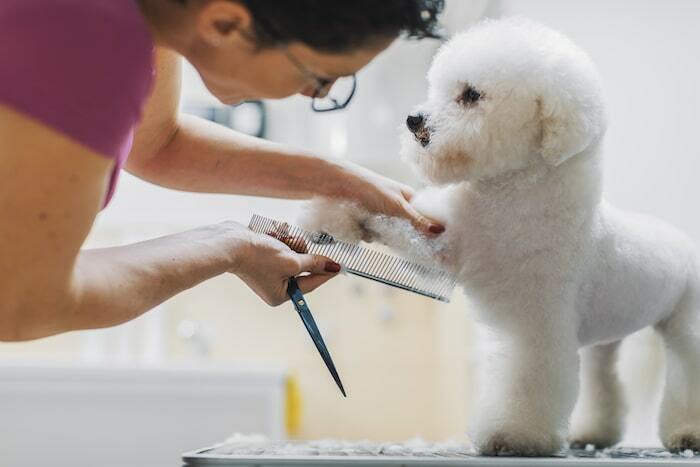 Rather than heading to a professional groomer, try these steps for giving your dog a thorough at-home grooming experience. Gather all your supplies in an easily accessible place before beginning the grooming session. This will reduce the time required and also help your dog stay calm. For a full grooming you will need a comb, brush, shampoo and conditioner, towels, hair dryer, toothbrush and toothpaste, nail clippers and styptic powder, ear solution and cotton swabs. If your dog has matted fur, you may need detangling solution and/or a matt rake. If you plan to cut his fur, invest in a set of electric dog clippers. 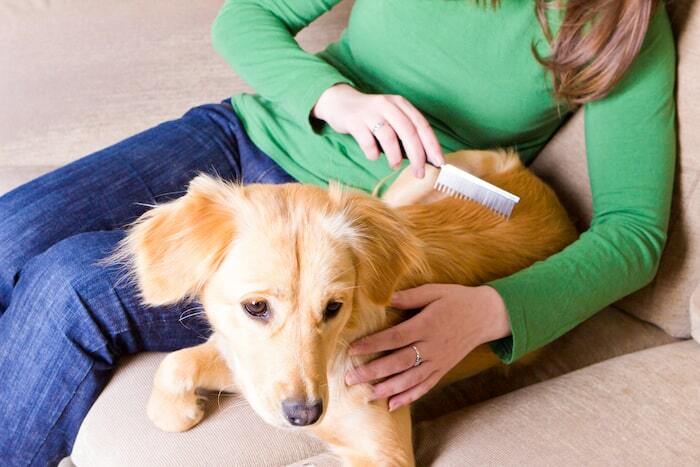 This important step may be all the grooming your dog needs for weeks. A good brushing gets out most dirt and shed fur. 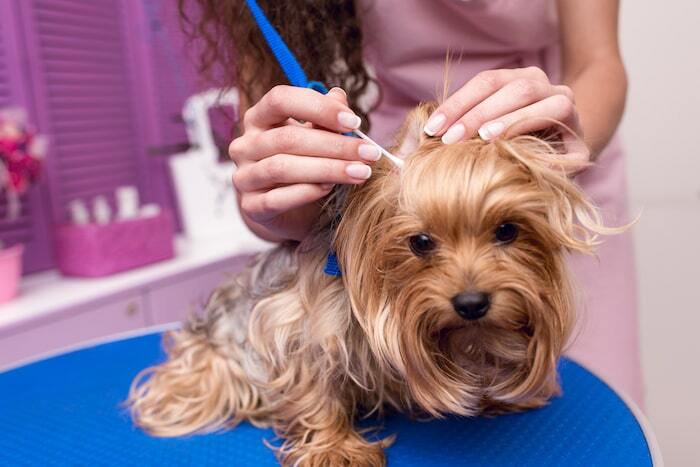 Brush regularly to keep your dog’s coat healthy and to get him used to the grooming process. With regular brushing, he will learn to trust you and stand still while you work. 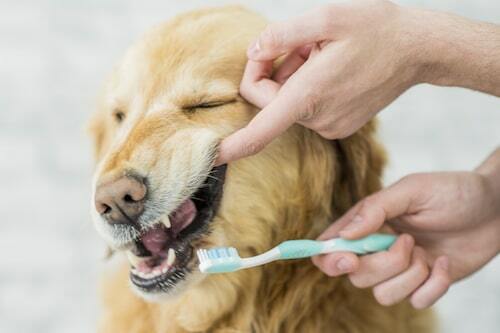 Using toothpaste and a brush designed for dogs, thoroughly brush all surfaces of your dog’s teeth. Many experts recommend following this step daily. 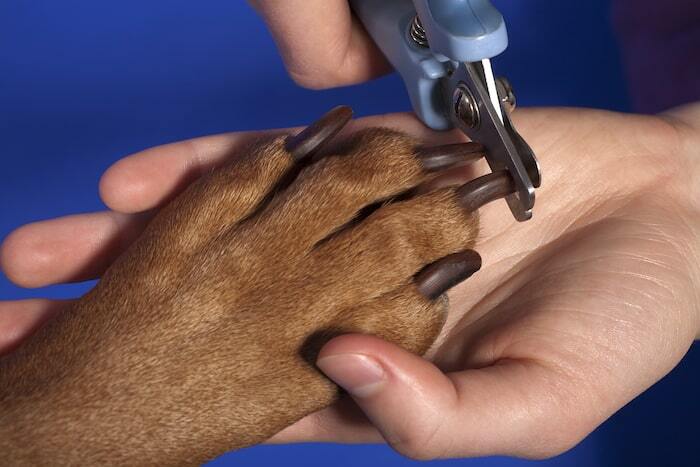 Clip quickly with dog nail clippers. Working too slowly can lead to cracked nails. Take care not to clip the live part of the nail, called the “quick.” On white nails, the quick appears pink. For black nails, you should see a black dot on the tip when you’re close to the quick. If you accidentally clip the quick, apply styptic powder to stop bleeding. 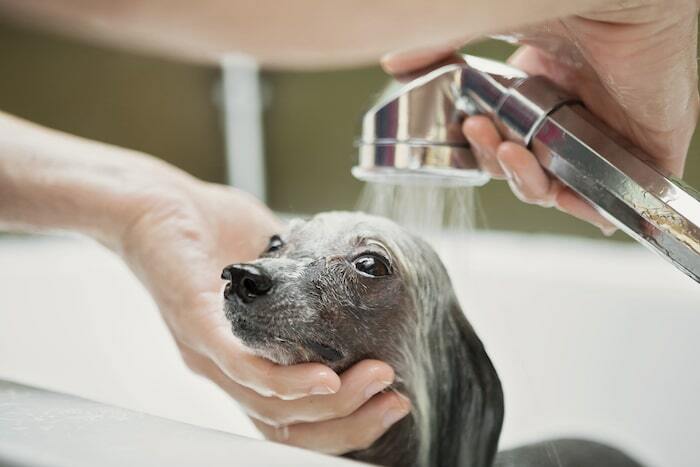 Experts recommend avoiding too frequent shampooing for dogs. A bath every four to six weeks is usually enough. 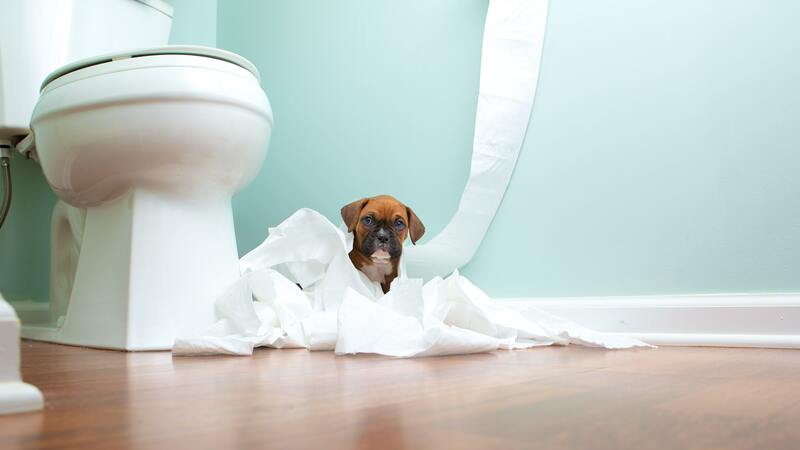 You can use an outdoor portable tub, put down non-slip mats in your bathroom tub, or even use the sink for smaller breeds. Thoroughly wet and then lather his fur from head to tail, using a small amount of dog shampoo. Then rinse using a handheld shower attachment or large cup. Be sure to get every bit of shampoo out of his fur. Avoid getting water in his ears. 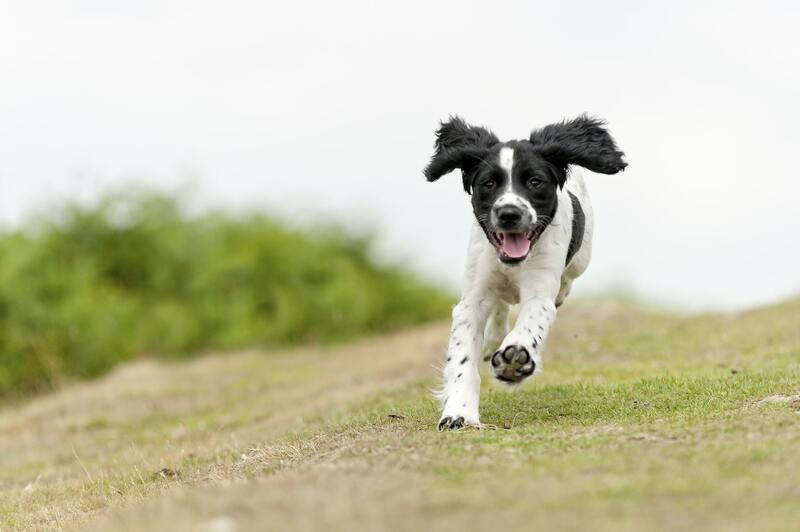 Using ear solution and cotton swabs, gently clean in and around your dog’s ears, taking care to dry them completely to prevent the growth of bacteria. 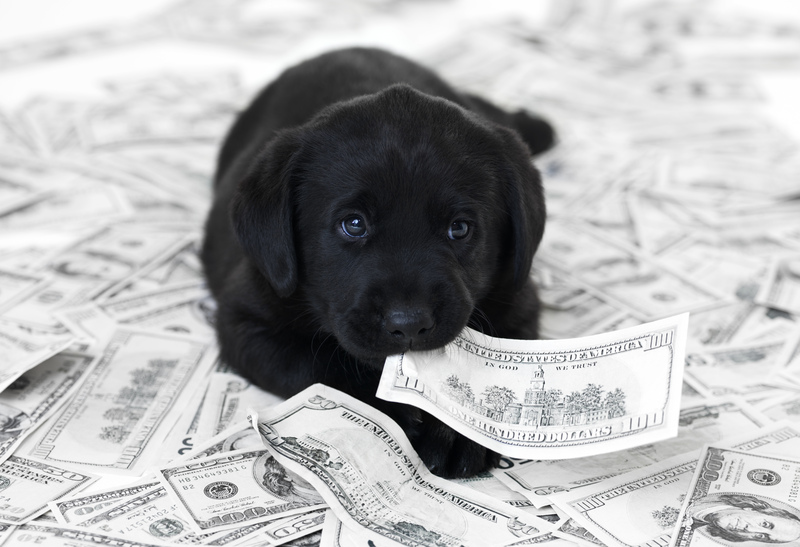 If you have a short-haired dog, a good toweling may be enough to dry his fur completely. 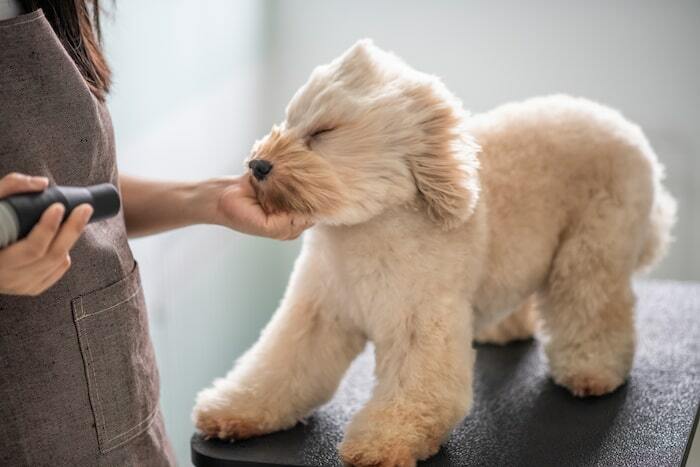 For those with thicker and longer coats, you can use a hair dryer on no heat, or a dog hair dryer. Brush again, and apply leave-in conditioner, if desired. If your dog needs a trim, be sure to use clippers especially made for dogs, as human hair clippers are not sturdy enough. Use a guard with enough length to keep you from nicking or cutting your dog’s sensitive skin. You did it! 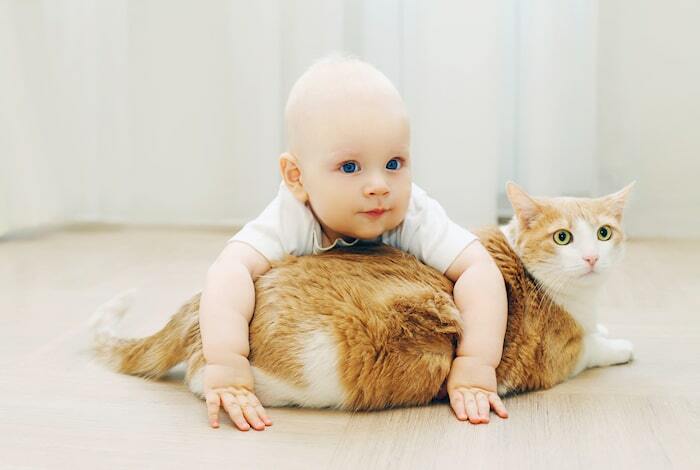 Your furry companion is smooth, shiny, sweet-smelling and ready to snuggle or play. Clean up your work area and store your tools for another day and another grooming session. Amy Smith is a writer, specializing in family and parenting topics. She teaches English, Latin and music at a private school and lives with her husband and five children on a small homestead in rural Pennsylvania.